- The design and production comply with ISO13485. 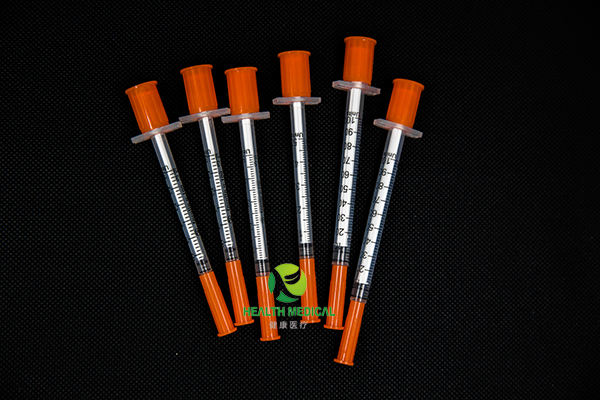 The plastic parts are moulded by hot runner molds; ultra-thin needles is fixed permanently. The design of ultra thin tube and sharp tip reduces the puncture pain utmostly. - Without residual, the waste of insulin is avoided. - I.U. And CC calibration, graduation lines is printed in bold for reading easily. - EO Sterilization, sterile, non-pyrogenic. - The customized needle is available. - Packing: Individual blister package or poly-bag self-sealed package.